Discover new solutions for your next appeal! Have you ever wanted a comprehensive catalog of ideas to help you plan your annual fund efforts? With the Solutions Library, you’ll discover a variety of designs, configurations, formats, and sample content. Each month a solution is selected by the Pledgemine team to highlight the quality and creativity of an innovative solution, as well as its success in connecting with an audience. Smart Segment filters let you customize and manage content for every segment that you want to target. Creating personalized outreach for your giving segments has never been easier. 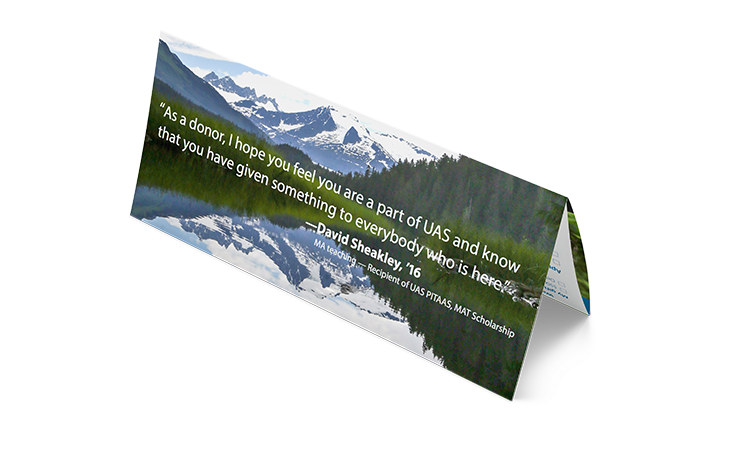 Check out this creative solution from Ross Imbler and the Annual Giving team at the University of Alaska. The goal for this innovative and successful appeal was to thank donors for their previous gift and ask them to support the annual fund. Ross and the team knew that the more personalized an appeal is, the more effective it can be. Congratulations, University of Alaska, on a successful annual fund appeal!